Search engine optimization is serious business and although most professional operators are busy building backlinks from quality industry-specific authority websites many forget to include the all-important internal links as well. Good internal linking results in more page views and a lower bounce rate. Search Engine Journal published a comprehensive article on best practice internal linking. 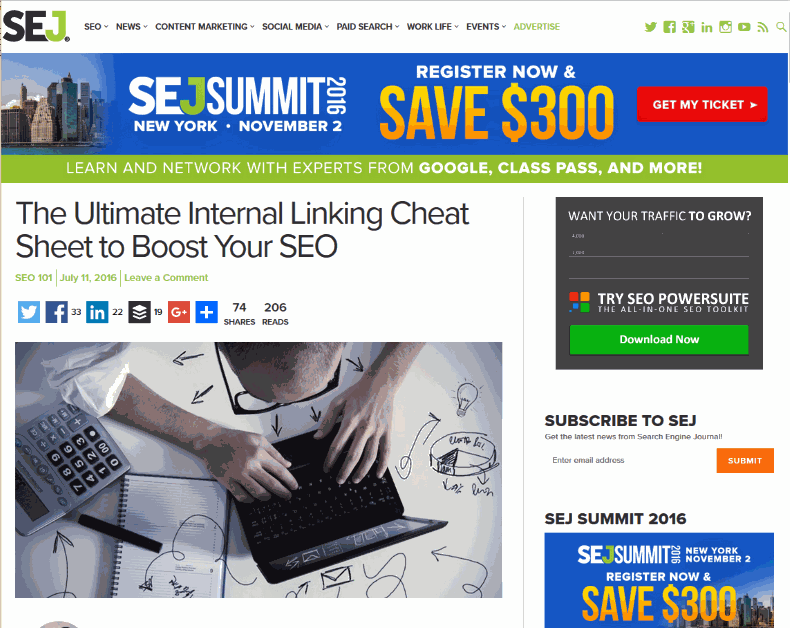 Full article The Ultimate Internal Linking Cheat Sheet to Boost Your SEO by Syed Balkhi (Founder at WPBeginner) can be found on Search Engine Journal. Don’t waste your time with a backlinking strategy that is built on misunderstandings, read 5 Big SEO Lies Google Wants You To Believe. Article summary by Paul Woods from Portagemma. Review our professional managed WordPress web hosting and design services.